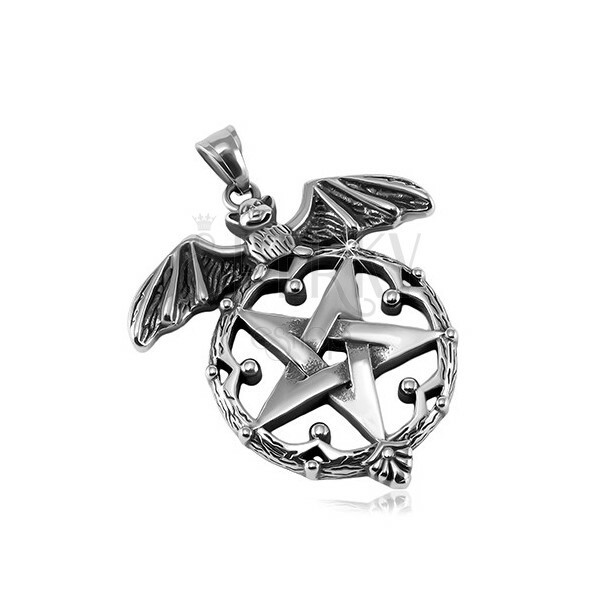 Stainless steel pendant, silver shade and patine, big circle with pentagram in the middle, bat. 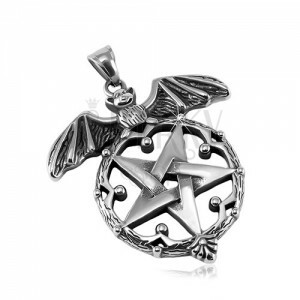 Massive 316L steel pendant has silver colour, patinated surface and is made in the form of a big circle with a pentagram. The circle is ornately shaped and there are small balls on it that stand out inwards. On the circle sits a bat with stretched wings. The eye for the chain is elongated.